The subscription market is booming. Recently it’s grown more than 100% with the largest retailers generating more than $2.6 billion in 2016, up from $57 million in 2011. No wonder Pinterest has just launched its own subscription box partnership. Pinterest recently announced a collaboration with FabFitFun. As of June 19, consumers could purchase the first-ever Pinterest Box, a curated collection of trending items found in the Pinterest 100 list — a data-driven list of hot searches on the platform. 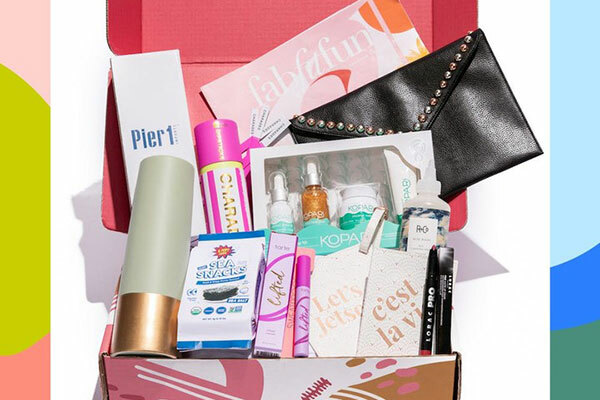 The box, available for four shipments in a seasonal $50 subscription plan with auto-renewal or an annual $180 fee, includes fashion, beauty, and home items approximately valued at more than $208. A subscription initiative makes a lot of sense for Pinterest. Entering the e-commerce subscription market brings Pinterest’s vision of driving inspiration to people’s doorsteps. After all, it’s one thing to pin stuff you’re excited about, it’s another to have those products delivered to your home. This Pinterest and FabFitFun collaboration comes out of the gate with pre-existing brand awareness. Yet the subscription market is a competitive one. The most popular subscription sites in a recent McKinsey & Company study were: Amazon, Subscribe & Save, Dollar Shave Club, Ipsy, Blue Apron, and Birchbox. Consider the appeal of this market niche: e-commerce subscribers are typically 25 - 44 years old, with incomes of $50,000 - $100,000. Women also account for 60% of subscriptions, although guys are more likely to have three or more active subscriptions. My guess is this endeavor represents a new growth opportunity for Pinterest. So many people use the site for inspiration. We (read: my wife) creates a pinterest board for every room we design in our house. It is very easy to imagine Pinterest partnering with other brands in different verticals like home decor, start-up fashion brands, food, and the list goes on and on. Pinterest is popular enough that it can likely find many new partners in different industries that would like to leverage the curation-site’s brand awareness to entice users. It would also be fitting with the company’s own year-old Pinterest Propel program aimed at helping small businesses get greater access to its 200 million mostly active users. At the same time, Pinterest could be doing even more to expand on this market niche and its brand appeal. As an experiential marketer, I can’t help thinking of the potential extensions into event marketing. Consider the brands known to be represented in this month’s first Pinterest box such as Pier1 Imports, Tarte, and R+CO. Added desirability tied to the fact that the shopper must be “in the know” about the shop’s presence. Sounds pretty perfect for Pinterest. Mr. Bhaskaran, if you’re reading this, you’re welcome.